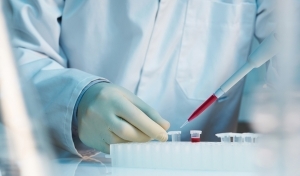 The technology at NeoGenesis uses adult stem cells. We have all heard about the many types of human stem cells, including embryonic stem cells. The embryonic stem cells are what we develop from in the fertilized egg. But, more important to the adult and our ability to regenerate and heal our tissues, it is our adult stem cells that are responsible for the healing and regeneration of the adult body. Through decades of research, we now know that multiple stem cell types coordinate their activities to release multiple distinct pools of stem cell released molecules (SRM). The multiple pools of molecules are known as S²RM®, and the multiple pools act together synergistically to initiate and maintain the healing process. This is a natural stem cell process within our bodies that induces maintenance and healing effects. We utilize this body of knowledge, coupled with advanced biotechnology knowhow in our laboratories, to develop products that are biomimetic and induce homeostatic renormalization of the stem cell niche and the natural stem cell processes in the skin. We call this “reverse engineering” the adult stem cell maintenance and healing processes in the human body. This reverse engineering process that we use instructs as to how to best develop our S²RM® technology for use in hair and skin care products. We also know that each stem cell type can exist in many different “states” and this is critical to their function. Thus, NeoGenesis, unlike any other therapeutics company, uses our patented S²RM® Technology in our products. This is a technology whereby specific combinations of stem cell types, with each type cultured under specific state-dependent conditions is formulated into each of our products. 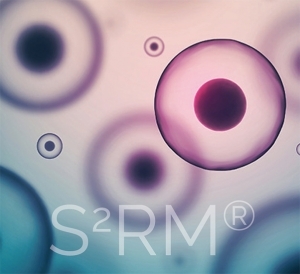 Using cell types and states that are relevant to the particular tissue and indication, creates a unique set of molecules from multiple stem cell types called S²RM® that is complete and fully formed thereby rendering maximum therapeutic benefit. What this means is that we culture the stem cells so that the molecules are fully processed and released by the cell. This allows the S²RM® molecules to be complete, in their natural form, and to be packaged into exosomes – the body’s own protective nano-sphere (a “smart” liposome) that provides targeting and delivery characteristics to the S²RM®. For example, the proteins in S²RM® are folded in their native 3-dimensional configuration, have all of their native moiety groups attached, and are packaged into the exosomes for the purposes of protection, targeting, and delivery to surrounding cells. The complete set of molecules, all of which are fully formed, work significantly better than the technology used by other companies, where malformed and incomplete sets of molecules are used to develop their products.